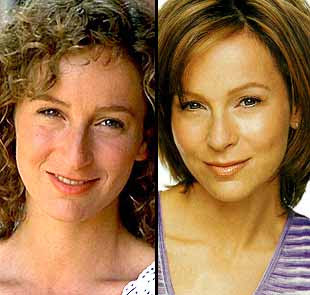 Jennifer Grey was riding high in the ‘80s with a few hit movies under her belt including Ferris Bueller’s Day Off and the huge hit with Patrick Swayze, Dirty Dancing. She was fast tracking as a Hollywood “A” lister when she suddenly was struck with the urge to be prettier. A quick trip to a plastic surgeon gave her the nose of her dreams however there was a slight problem – nobody recognized her anymore and the roles dried up almost instantly. Nobody puts Baby in a corner but nobody was giving her any roles either. She did a few minor things after the surgery and even had an appearance on Friends but her career was pretty much done. Vanity Kills. 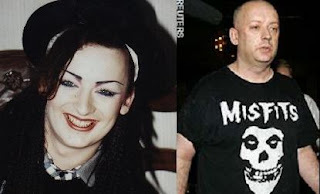 Boy George was the lead singer of one of the bands that really put a mark on the ‘80s. Whether you liked them or not, Culture Club really created a stir not only with the quirky pop sounds they produced but Boy George’s style and controversial image. The band broke up largely due to a falling out between George and another band member who were lovers and so begun a life of drug addiction and trouble with the law. In retrospect, maybe the makeup was a good thing. The most recent incident was in December 2008 when he was convicted of falsely imprisoning and beating a male prostitute which unfortunately for Georgie Boy is still very much illegal. Though he served his time, his career as a DJ (which was quite successful) and any talk of a Culture Club reunion are pretty much done. 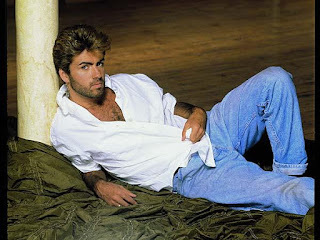 George Michael was the lead singer of Wham! and one of the most wanted men of woman everywhere back in the ‘80s. Even after Wham! broke up, he was still producing amazing music as a solo artist and still charting very well in many countries. He's gay !?! Wow - how did I miss that? Though questions of his sexuality always hovered around him, he kept up his heterosexual image for fear of the effect it would have on his mother. Mommy must have flipped in 1998 when George was arrested in Beverly Hills for “engaging in a lewd act” with an undercover cop in a park bathroom in what had to be one of the biggest WTF moments I can ever remember. I could care less which way George swings, but when you’ve got the kind of money and contacts George has, is it necessary (and safe!?!?) to troll a public park bathroom for a Gayfrontation? Just sayin’…… Although he’s put out some stuff since the incident and is touring again, he hasn’t had a #1 hit in the UK since 1996 and none in the U.S. since 1991. When you think about masturbating in a movie theatre (hopefully you don’t think of that too often) one name comes to mind, Pee-Wee Herman. Comedian Paul Reubens, who created the character, found fame with a stage act that led to an HBO special and eventually a few movies. He also had a top rated, Emmy award winning kid’s program that was truly unique and a breath of fresh air compared to the other Saturday morning programming. 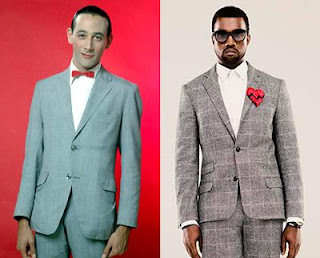 Pee-Wee doing a Kanye West impression. Spooky! It all came to a shrieking halt when he was arrested in 1991 for doing a solo act of the lewd kind in a Florida theatre. Again, see my comment regarding George Michael – use some of that Pee-Wee cash and get a room already. Although he used the incident as a way to get away from the Pee-Wee character he never enjoyed the same level of success again. This is probably why he’s shopping the idea of another Pee-Wee film and a possible Pee-Wee stage show in Vegas. Whitney Houston was by far the leading diva on the pop scene in the ‘80s and ‘90s. Top selling albums, Grammy awards, smash movie rolls, she had it all. She then made a decision that would ultimately change her life forever. She married ex- New Edition member Bobby Brown. Although it was her prerogative to do so (see what I did there? ), Bobby led her into a life of drugs and pretty much killed her career. 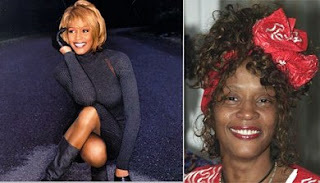 To make matters worse, she and Bobbi did a reality show together that really showed how ugly the relationship was and what a fall from grace Whitney had. Such a shame. I’m not one to mock anyone who has a weight problem however in Kirstie Alley’s case, I’m willing to make an exception. I’ve said it before, if you’re a successful actor, you have plenty of time and money to ensure that you stay in reasonable shape and usually have an army of people around you that can cater to your every need while you focus on staying in shape and aging gracefully. Kirstie missed the memo.After a few successful films, she landed the part of Rebecca Howe on Cheers and then went on to do another fairly good sitcom and then paused to eat Bon Bons. She’s been doing that ever since. She not only called Jenny but ate her as well. She hooked up with Jenny Craig as their spokesperson and it lasted a pretty long while until someone at Jenny Craig noticed she wasn’t really losing any weight which isn’t a good thing considering that was what Jenny’s products are supposed to help you do.